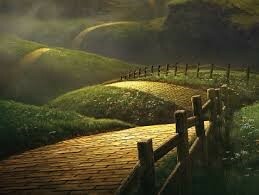 As a child, I watched, The Wizard of Oz once a year when it came on TV and it was a big deal. I hadn’t seen it in years… maybe decades. Now, I was seeing it through a different lens. I found this a lesson in itself. Our signs are there but are we seeing them? Do we ever take a moment to pause and discern. Question… learn… evolve? Some things have been… moved.